Welcome! 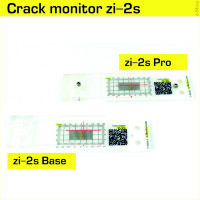 We developing and selling crack monitors for more than 5 years. Since 2015 we started to supply our products to the customers outside Russia. Now we offer a reliable international delivery, safe payments and proven professional tools for monitoring cracks in buildings and facilities. Having purchased crack monitors in my online store you can be sure in quality and originality of the products. And our reliability as a supplier can confirm many customers from various countries.